Hi Everyone! 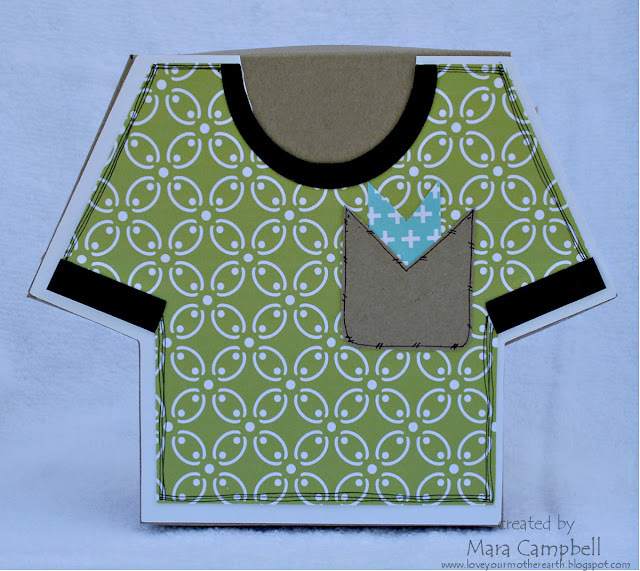 I'm very excited to share this sneak peek of a new template from My Time Made Easy! It's called Blue Collar and will be available May 1st. 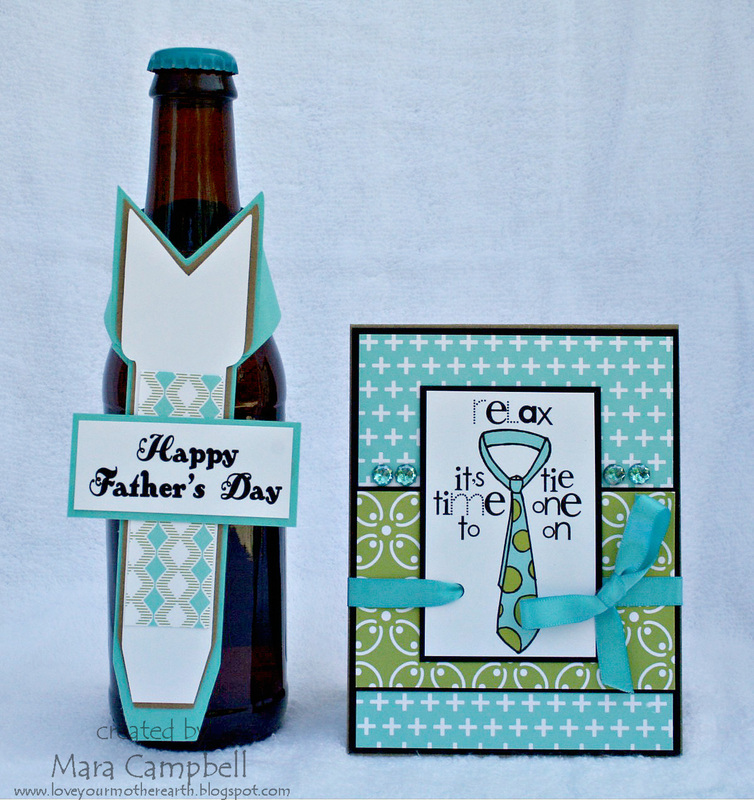 There are also new great digital paper sets, stamp sets and cut files that will be perfect for Father's Day. 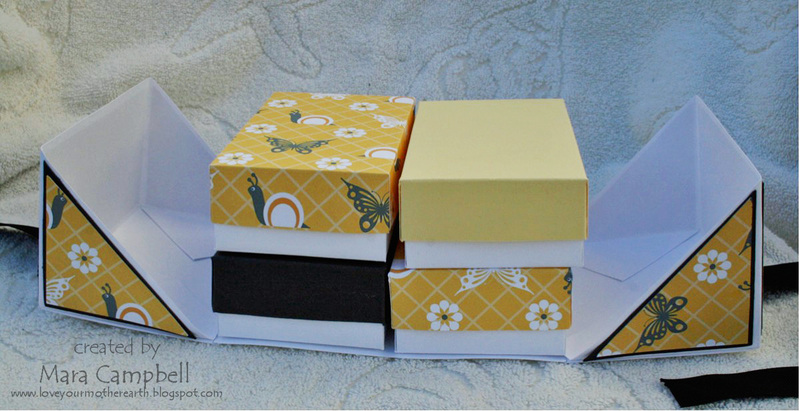 Isn't that a fun box template?? It's shaped like a shirt and you can make it casual (like I did) or add a collar and tie to fancy it up. You could even decorate it like a favorite baseball or football jersey. And it's a good sized box, this will definitely fit quite a bit of stuff. It's even big enough for a set of A2 sized cards! See that green and blue paper? It's new this month and it's perfect for masculine projects. 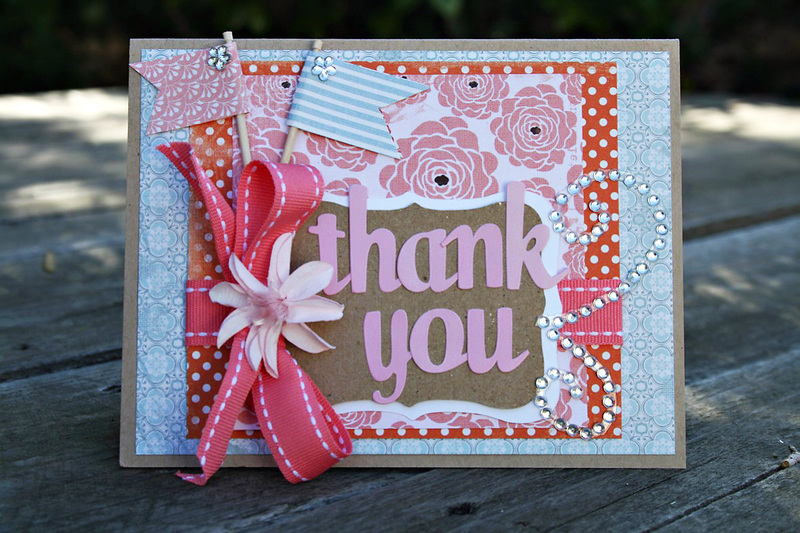 It's called Vintage Flourishes Bright and I also used it for the card. 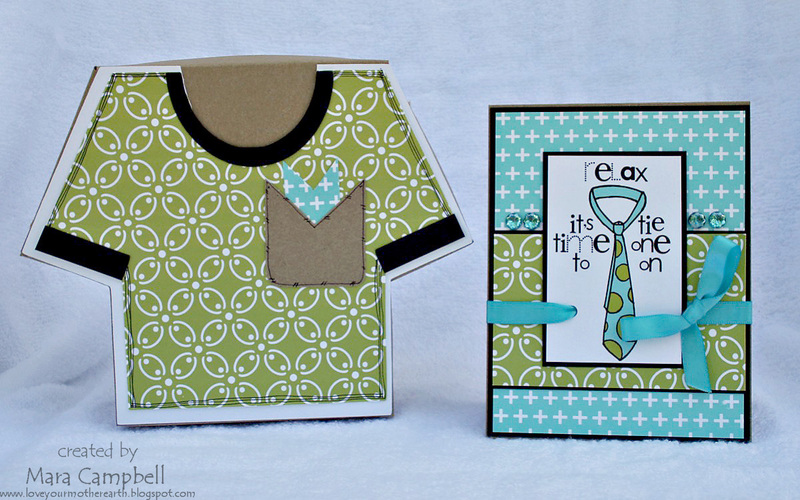 The tie and sentiment come from a new stamp set called Dads Day To Relax. This stamp set is full of punny sentiments and matching images. It's a fun set! 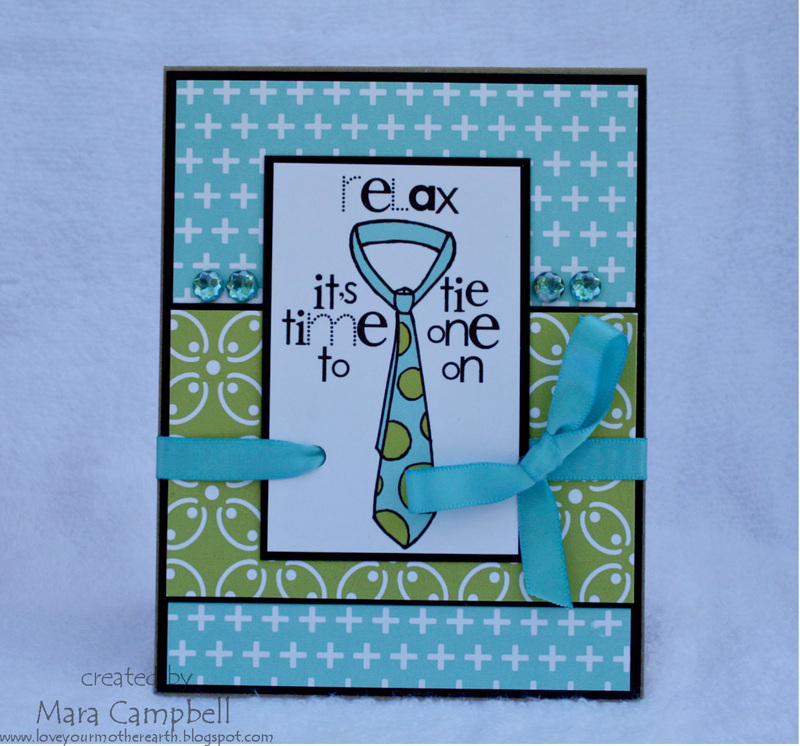 The Blue Collar template includes a cut file for a tie that you can embellish your box with. I decided to use it to create a bottle tag. This would be a perfect touch on dad's favorite bottle of beer or root beer. 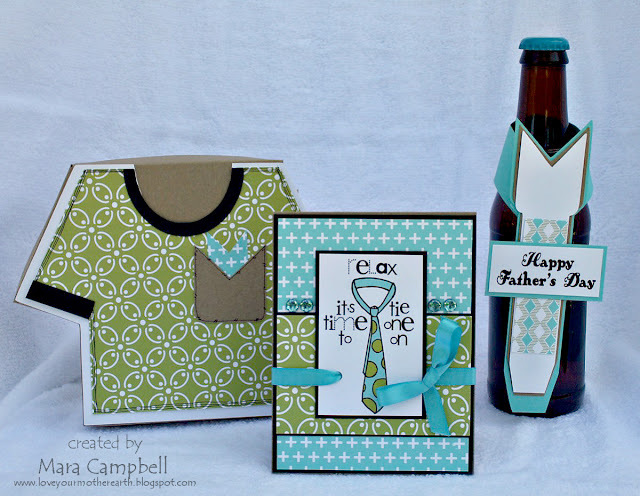 And here is my Father's Day gift set all together! When I create, I tend to be drawn to girly things like bling and flowers and ruffly ribbon. These products from MTME this month will make it so easy to create great masculine projects as well. And just in time for Father's Day! I know, it's not until June. But you can never start planning too early to make crafty gifts. Please check out the other talented members of My Time Made Easy...lots to share today! I hope you are ready to see more incredible MTME products over the next few days. Thanks for stopping by today, friends! Happy Friday!!! I have a quick post today of a card where I used some of my favorites right now...Momenta patterned paper, background stamps from Papertrey Ink, baker's twine, and Hero Arts cupcakes. I hope you all have a Fabulous Friday!!! Enjoy your weekend! I have really been enjoying seeing all the mixed media art out there lately. It's something that i've never done before and I wanted to learn more. I signed up a while ago for Christy Tomlinson's She-Art Girl workshop and have been slowly working my way through her amazing videos. It was hard for me to get started on my own canvas. I felt like I was going to mess it up or do something wrong. A few of my scrappy friends encouraged me to just do it! So I finally did. I had some friends over this past weekend and we all played with canvases, paper and paint. I had a big stack of leftover Basic Grey papers and I picked through it for some color inspiration. I tried to use as many stamping techniques as I could from the workshop videos. I used a Tattered Angels glimmer mist mask with acrylic paint and that didn't work out too well, ha ha! I ended up covering much of that mask with other random paint and stamping. I also raided my stash of rubons and used a ton of them. I used some heart stamps I forgot I owned and also stamped with bubble wrap, mesh wire, and toilet paper rolls. I had SO much fun making this canvas. By the end of the day my hands were covered with paint and I had modge podge in my hair. This is the most fun I've had with my scrap supplies in a while. I will definitely be making more of these. I do need some work on the head/hair/neck dimensions. This girl is heading towards having an afro and the poor thing has no neck!! Have you ever done any mixed media art? This is my first dive into the pool and so far i'm enjoying it. Thanks for stopping by today! A while ago, I bought a doily svg cut file set from My Grafico and I absolutely love them. One thing I like to create with them are layered flowers. 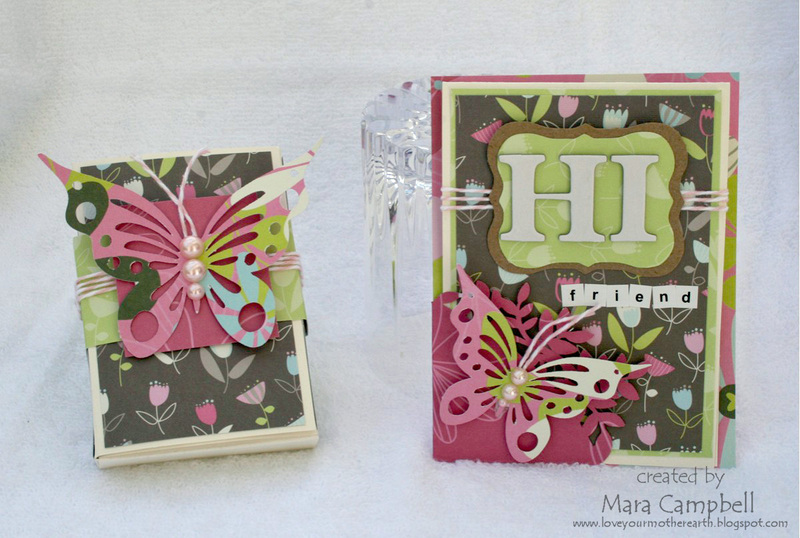 I paired them with some fun Momenta paper and created this card. A doily, some circles and a button make for the top of this flower. I am really into purple lately and focused on the purple paper from the Family 5x7 paper pad. And I used black mini puffy Momenta alphabet stickers for the sentiment. Momenta makes it easy! 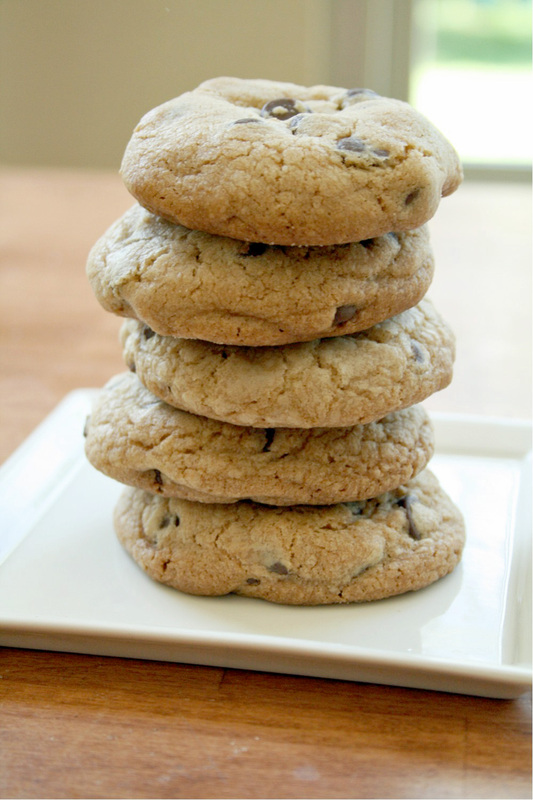 Yes, they are chocolate chip cookies. But look what is hiding inside! The cookie dough was wrapped around a rolo, then baked. 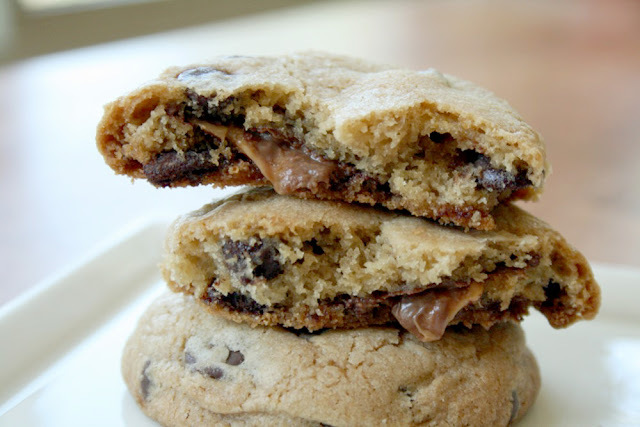 It adds such a fun caramel touch to the middle of the cookie. I got the idea from the My Baking Addiction food blog. All you have to do is make your favorite cookie dough or even buy your favorite cookie dough at the store. Unwrap the Rolos and freeze for at least 2 hours. Wrap a ball of dough around a frozen Rolo, then free the dough ball for 15 minutes. Bake and enjoy!! I hope your all having a great weekend. Now that I have our new schedule down, I am hoping to get some crafting in this week. Thanks for stopping by! 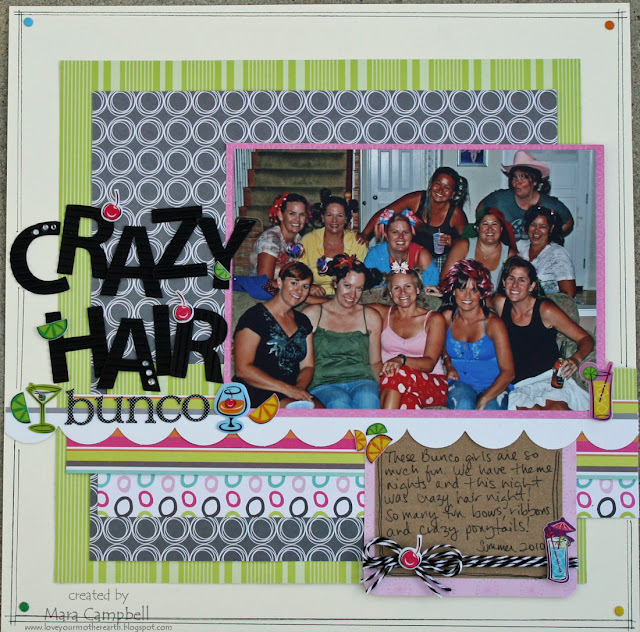 I have a confession...I haven't made a scrapbook layout in a long time. I think the last one I did was back in January. Okay...the term 'long' here may be a tad dramatic. Ha ha! I have hundreds of layouts in my scrapbooks and to be honest, I was feeling a little burnt out with layouts. After my ankle surgery, I could not sit for long periods of time without significant swelling, so my time was spent making cards and other smaller projects. 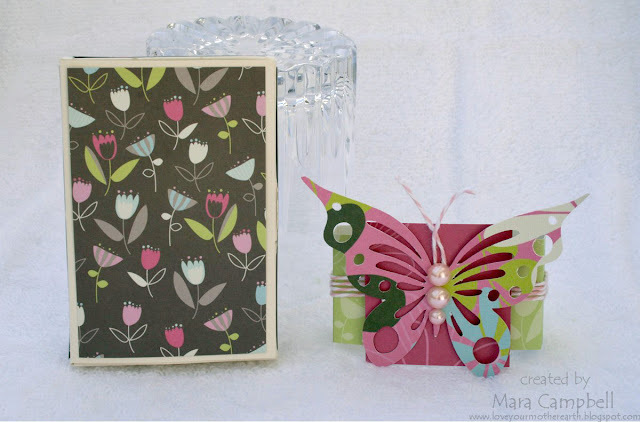 And I really fell head over heels in love with card making. I've made more cards in the past 3 months than I think I have made in the past 3 years! And I think i've also bought more stamps in the past 3 months but let's just keep that between you and me. I felt like it was time to jump back into making layouts. The photos are piling up and I need to get them in scrapbooks. I collected some fun Momenta letters and stickers and started pushing paper and embellies around on my scrap desk. I layered paper from the Kaleidoscope paper pack with this photo I've been saving forever. This is my bunco group and I love all these girls! I wish you could really see my hair. My daughter tied Little Petshop pets into my ponytails and I had them swinging all over the place. I really love the cocktail stickers with the corrugated letter stickers, all by Momenta of course! Pretty simple, but I feel like now I am ready and primed to get some layouts completed. In 2 weeks i'm going on a weekend scrap retreat and I can't wait to have uninterrupted scrapping time! What do you usually create? Layouts? Cards? Both? 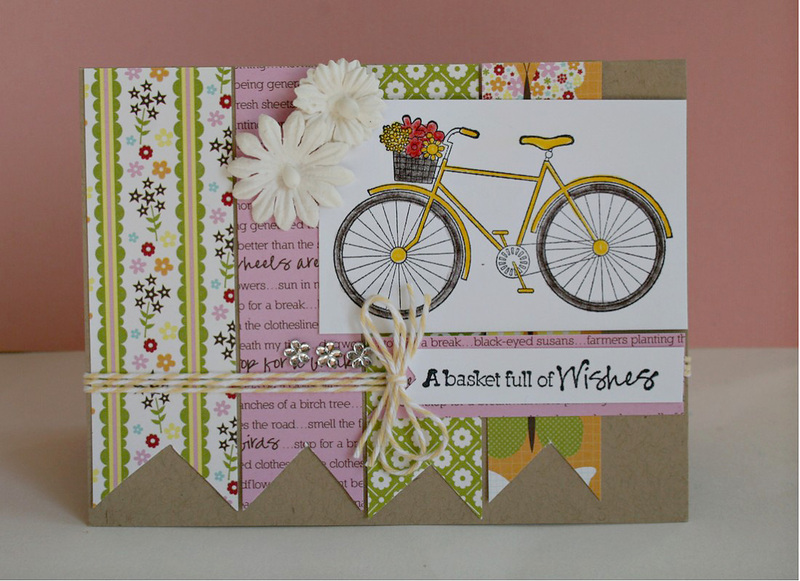 Creating layouts is my first love but I am really loving making cards right now, too. I am also a little bit addicted to Pinterest home decor and DIY sites and I have a few projects in the middle stages right now. I need some more time to finish things up! It's April card kit club reveal day!! Mary was kind enough to send us all some wonderful goodies this month. Do you see the Jillibean Soup?? My favorite!!! I just love that great lace and the thick twine! And my kit contained these lovely crocheted yellow flowers with a fun crocheted leaf! And here is my second card, I really loved this great bicycle stamp! It's from Unity Stamps/Jillibean Soup. I really love the trend of pennants/banners cut at the end of paper strips. Is there a more official term for those? And here is a stellar closeup of my rudimentary coloring skills. THANK YOU Mary for great product to work with!! I had so much fun playing with this kit. Please check out the other girls in my kit club to see what they did with the kit. Happy Tuesday and thanks for stopping by today!! Happy Sunday everyone! Did you all have a good weekend? After a week of rain, we had a glorious weekend. We spent yesterday at the Long Beach Grand Prix watching the cars race, drinking huge beers, eating junk food and loving the great weather. I hope yours was fun as well! I wanted to share a few cards using some of my other favorite stamps. The polka dot background stamp from PTI has long been a favorite of mine. And I also love my cupcake set from Hero Arts. I paired the two to make these birthday cards. 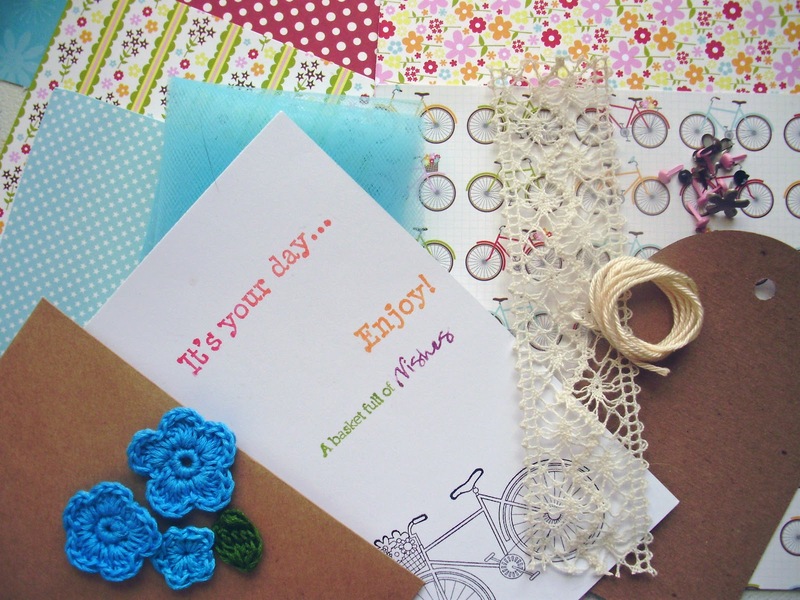 You can never have too many birthday cards in your stash. I paper pieced the cupcakes using the Kaleidoscope paper pack from Momenta. I like this different birthday sentiment, also in the Hero Arts cupcake set. And I used my polka dotted background, too! 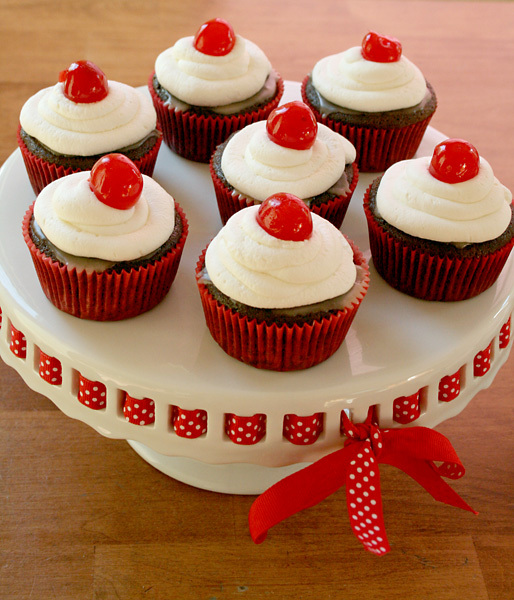 And one more using the polka dots and cupcakes. This time I went with an aqua-blue background. I do love this shade of blue! 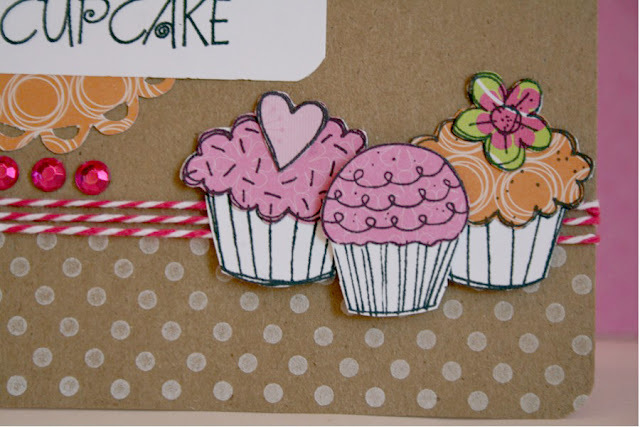 More paper piecing of cupcakes and some ribbon tying went on this card. I am not looking forward to Monday tomorrow. We have a busy week ahead of us and I also want to fit in some card challenges this week. I hope to be able to squeeze in some scrappy time. Thanks for stopping by today!! 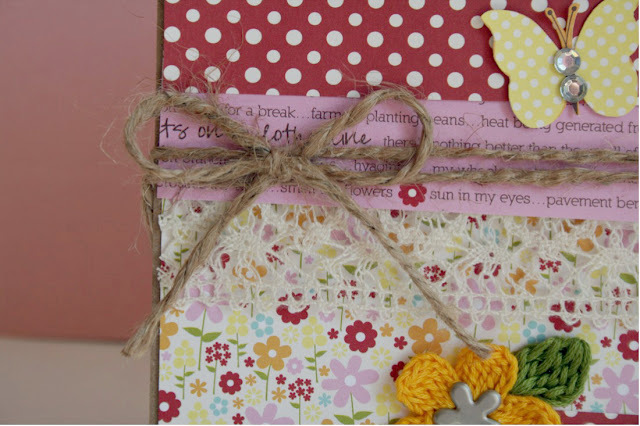 This time I paired it with some paper from the Momenta Free To Be Me super paper pad. I really love that lime green paired with the pink. Such a great color combo. And see! There it is, one of my most favorite sentiments!!! I want to know what your favorite stamp set? Do you have one? Or do you love all your children equally? Have a wonderful Friday everyone!!! 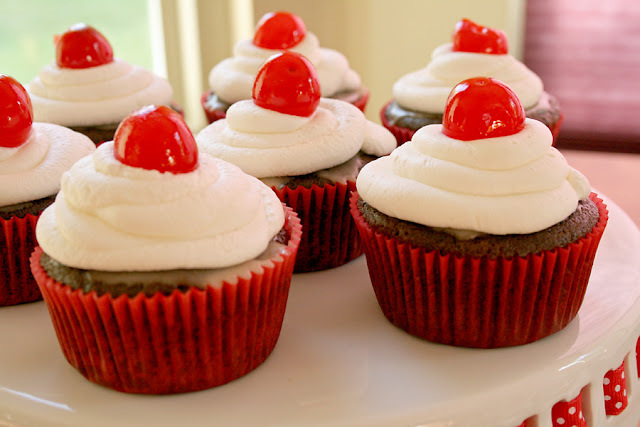 This cupcake appears to have many parts, and I think that's why it kept getting pushed down on the list: Coke flavored chocolate cake, cherry pie filling, a coca-cola glaze and then a whipped cream frosting. And while this cupcake did take some more effort to put together, the effort was well worth it. This is the first time I've frosted cupcakes with whipped cream frosting and it was so good. It is very light, not heavy like buttercream (not like that's a bad thing!). It went well with all the other things going on in this cupcake. Can you see the coca-cola glaze peeking out? After filling the middle of the cupcake with cherry pie filling, this glaze is added over the top. It was a great addition that added some more coke flavor. These were delicious even if they did take some more time to put together. And I'm happy to have tried one more of those to-bake recipes! 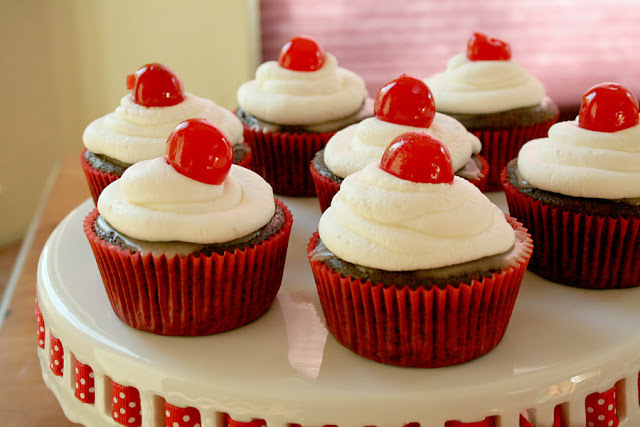 For the full recipe, please see the Brown Eyed Baker's blog: Cherry Coke Float Cupcakes. I really wanted to play this week with the CR84FN color challenge this week. The colors are pink, light blue, and peach and I thought it was a lovely combination. So last night I rummaged through my stash, found some My Mind's Eye paper and started creating. When I was putting the final touches on my card I realized...hey, that's orange NOT peach! How did that happen?? Maybe I was just too tired to see straight. I bought that flower at the scrap expo I went to in February and it was a pain to work with. I ended up using a whole bunch of glue to get it to stick. But I do love it! I just bought some toothpicks from Target to make cute little flags with. Look! Cute little flags!! So there's my challenge card that wasn't. Even if it doesn't fit the challenge I'm happy I got to squeeze in some scrappy time. That's a win in my book. Happy Monday everyone! 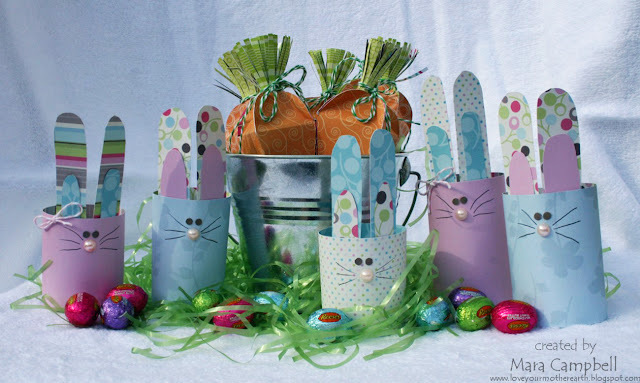 Did you all have a great Easter weekend? We spent ours with friends and family and were lucky enough to have great weather. My kids had a massive water gun fight in the backyard on Sunday playing with their new water guns. Nothing better than that. I have a fun shaped card to share today. This shaped cut is from the Wild Cart Cricut cartridge and is one of my favorites. 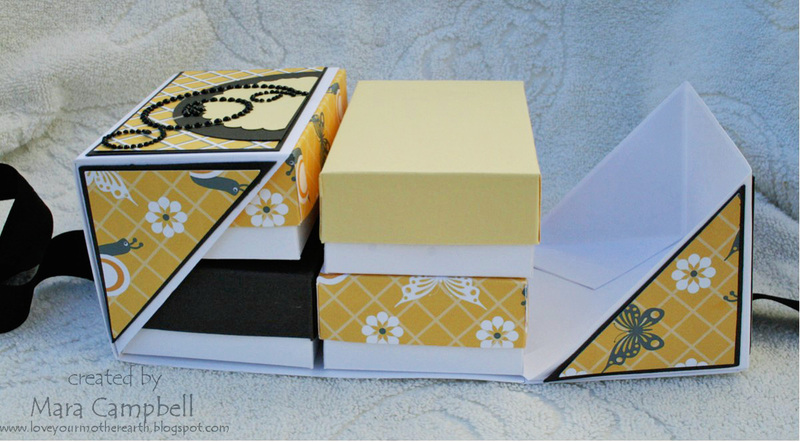 I used the Kaleidoscope Pyramid paper pack from Momenta. I love the fresh spring colors. The smile sentiment is Momenta, too. They have lots of great puffy stickers! I used the George cartridge for these layered flowers. I added bronze pearls to the middle to finish the flowers off. Smile, it's Monday!!! Have a great week everyone...thanks for stopping by! Happy Friday!! I have one more fun Easter project to share with you today. I would have shared this earlier but I just assembled them. It's not a new idea but I've always wanted to make them...and this year I finally did. 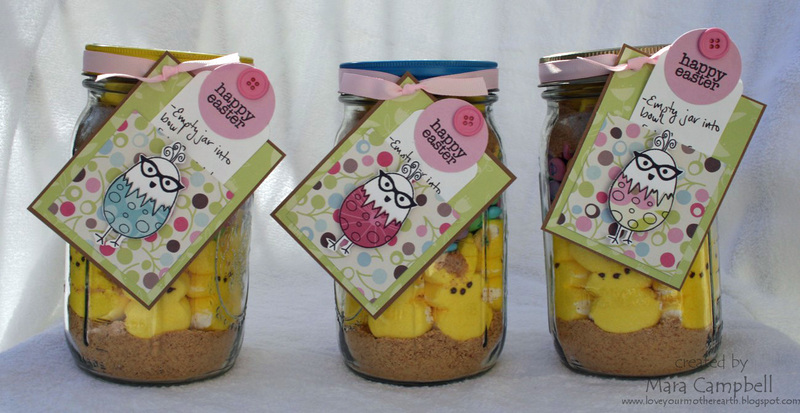 Middle: 7 peep bunnies around the jar in a ring. Add another ~1/2 cup graham cracker crumbs to fill the hole inbetween the peeps. Pack the graham crackers down tight with a spoon. 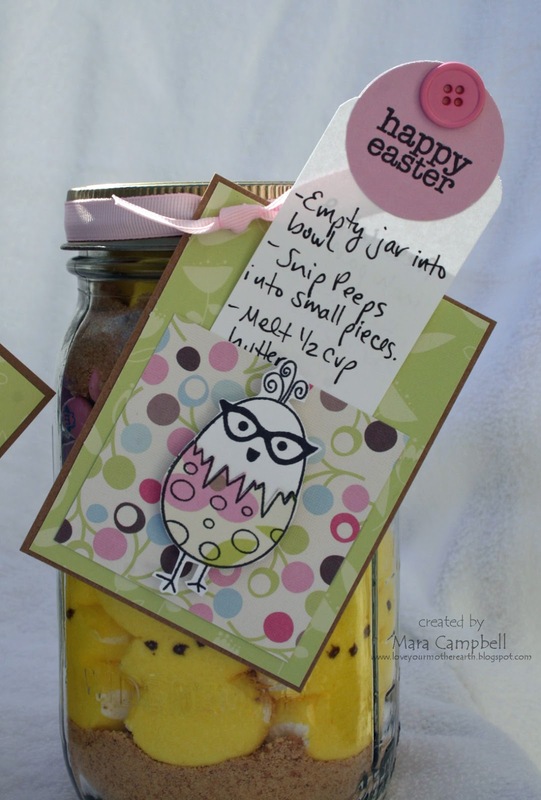 Next: 1 1/2 cups Easter M&M's. Pack down. Top: 1/3 - 1/2 cup brown sugar. Pack down tight! I also took advantage of my new stamp set from Avocado Arts. 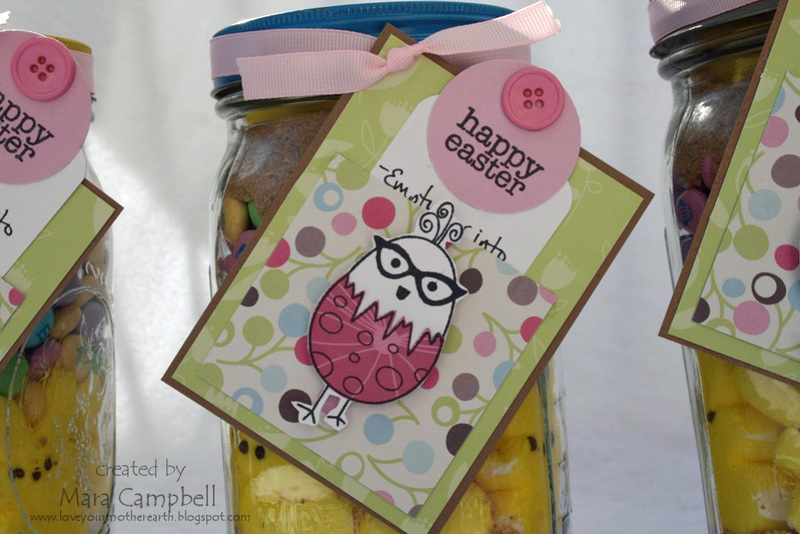 I really loved this retro funky chick stamp and used it to create the tag on the jars. I used paper from the Chloe's Garden paper pad by Momenta. I paper pieced the shell using a different patterned paper on each of the tags. 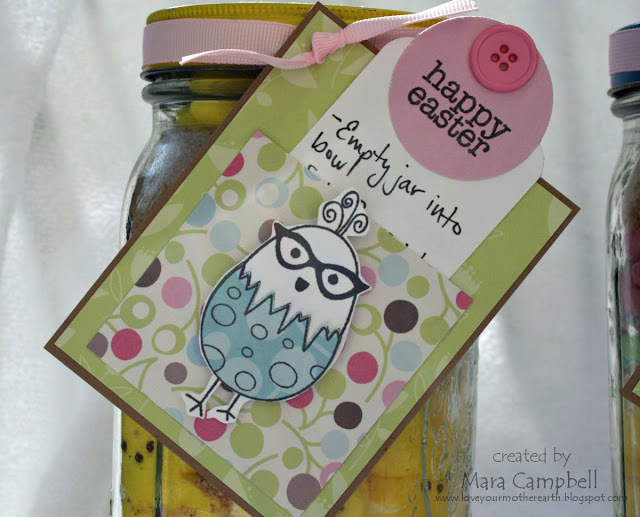 I really love this fun chick stamp!! The front of the tag is a pocket. I included the instructions for making Peep Smores on the insert inside the pocket. 1. Dump contents of jar into a bowl. 3. Melt 1/2 cup butter. Add butter + 1 tsp vanilla to bowl. Mix all ingredients well. 4. Press ingredients into an 8 inch square pan. 5. Bake at 350 degrees for 15 minutes. 6. Cut into squares and eat! 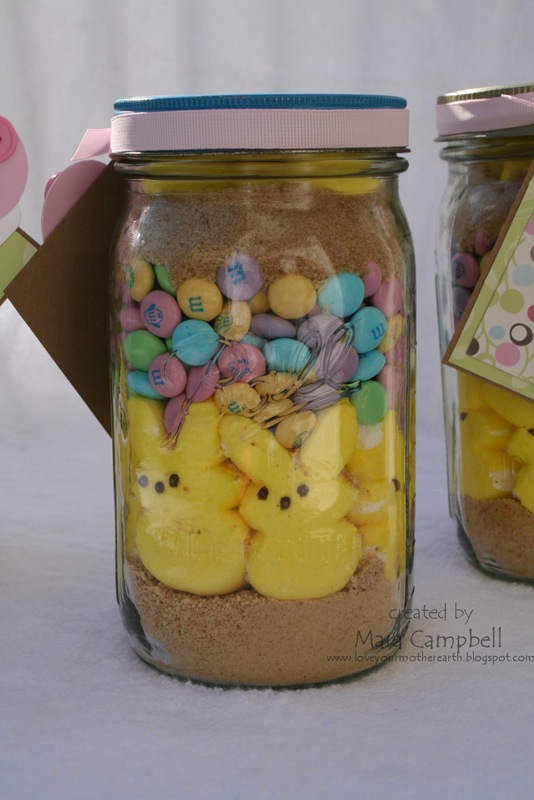 There you have it...Peeps In A Jar! My kids and I went all over the neighborhood last night giving these away to friends. We had so much fun! I hope you have a great Friday and a wonderful weekend. I am looking forward to spending it with family and friends. 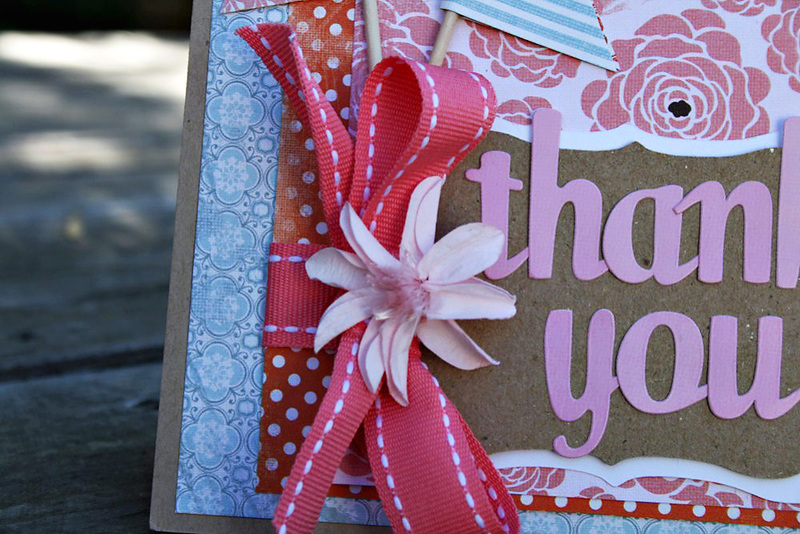 Thanks for stopping by today, Peeps!! Happy Wednesday!! I have my last My Time Made Easy project to share today. 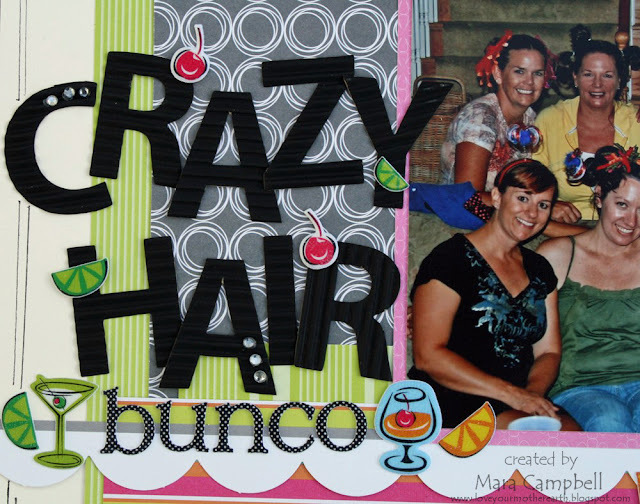 I mixed and matched an older cut file with some new fun products. I am showcasing the Card Candy cut file, which is from an older release. I paired it with some Momenta paper and new April release cut files. 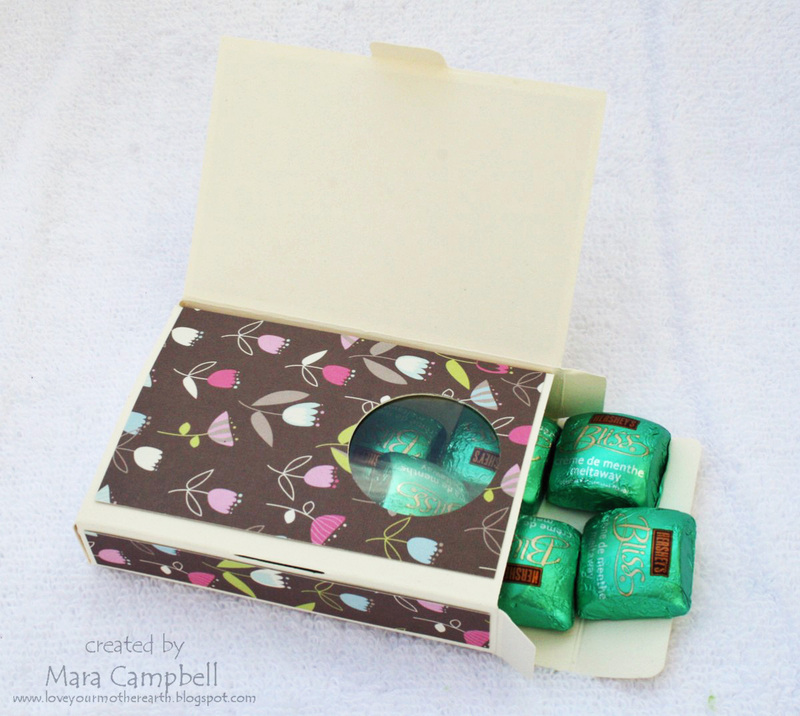 The Card Candy cut file is a fun way to combine a card with a candy box. It's very similar to a candy book. Remember those Life Saver books that used to be available at Christmas time? I used to get one every year in my stocking from Santa! I added a belly band to my candy box for some added interactivity. I really wanted to showcase this beautiful butterfly that is included in the Bloom Builders set this month. I love all the cut detail. Here is the candy box open. It has a little window for a sneak peek inside the box. 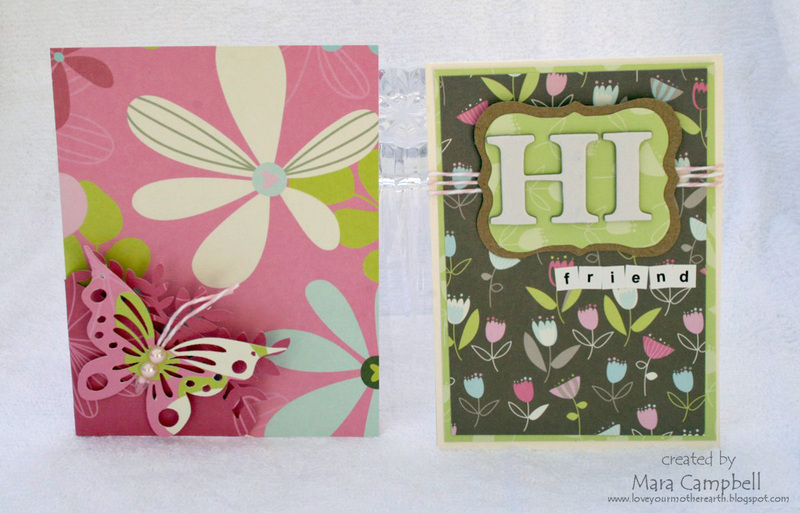 Another versatile cut file available this month is called Corner Slot Foliage. 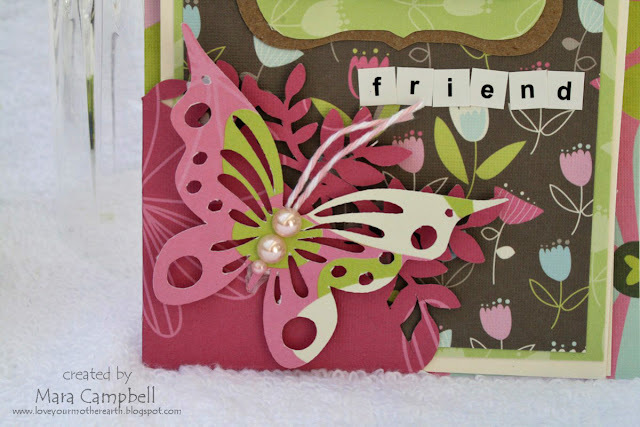 This cut file creates the front of a card with a fold over decorative corner. 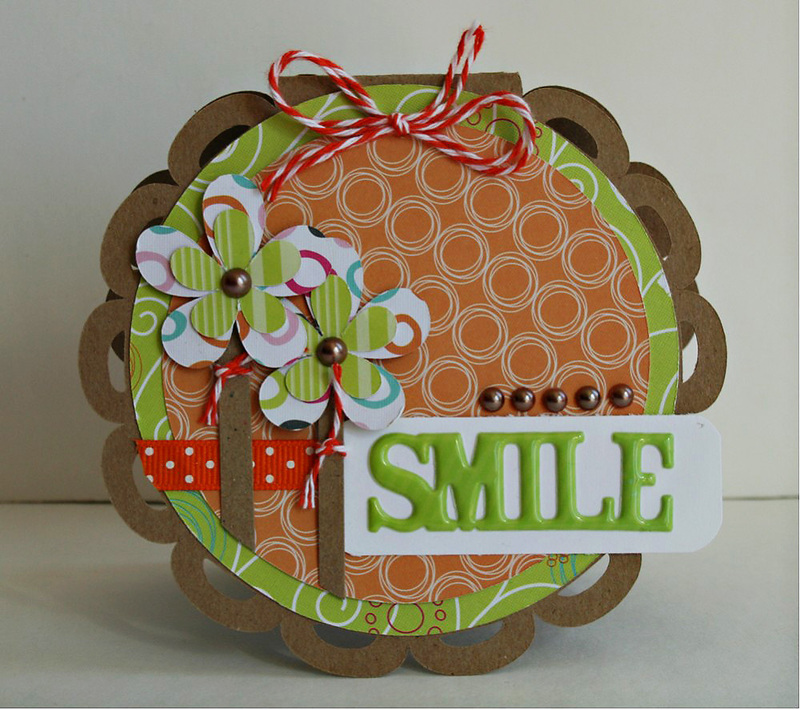 You could use it as a card front or use it like a card holder, like I did with my card. I liked using double sided paper so the inside of the folder is one pattern, but when you fold over the corner you get another coordinating pattern. I used the new butterfly cut again to tie the two pieces together. Look at all the detail on the butterfly and the corner cut! Now get yourself some coffee or a drink...and sit back and enjoy more inspiration from the DT today! Thanks for coming by this week and seeing the new releases from My Time Made Easy! I hope you enjoyed what you saw!! Hi Peeps!! 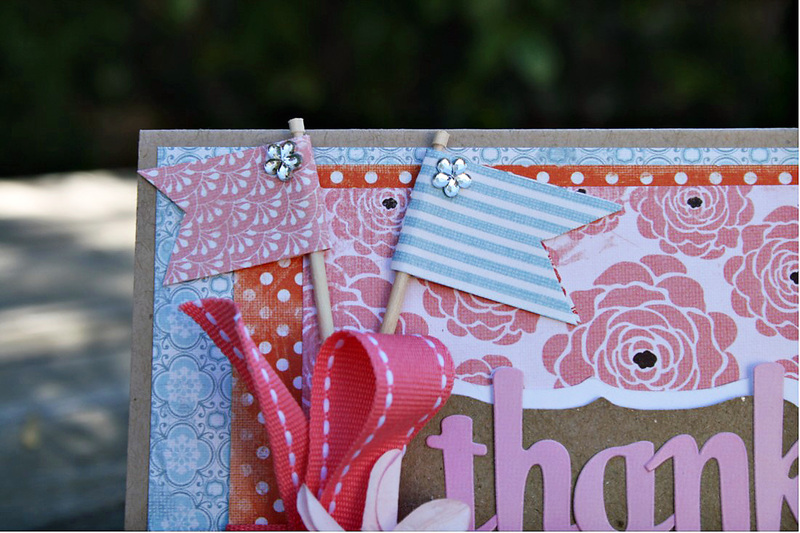 I want to show you a fun project I just created for the Momenta blog. If you are looking for some last minute Easter decor for your dinner table or mantle, I hope this will inspire you. 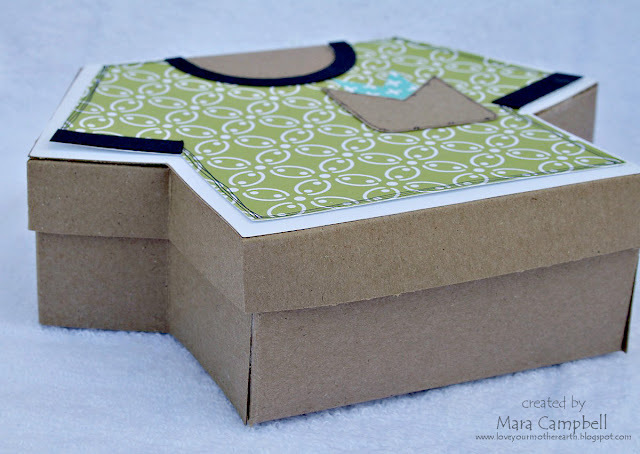 Cruise on over to the Momenta blog for more details and directions on my project! Thanks for stopping by today!! Hi Everyone! I have another project from My Time Made Easy this month. Today I am showcasing the entire Compleatly Versatile template. I again was drawn to the fabulous Spring Abound new paper this month to create this fun gift set. Remember the boxes from a few posts ago? This template includes a small box, a bigger box (which is twice as big as the small box), AND a fun wrapper to be able to present the whole set together. Let me show you how the wrapper works. You can mix and match the box sizes inside. 4 small boxes...2 small boxes plus 1 big box...2 big boxes. All of those combinations will work! 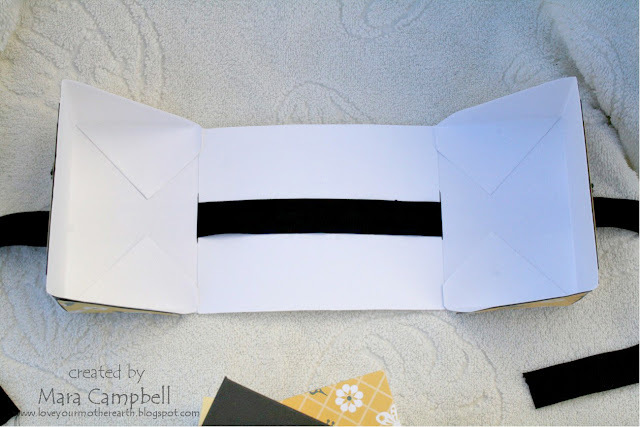 And there is a slot included in the template cut file for your ribbon to slide under the boxes, up and around the sides in order to tied the whole gift set together. Isn't that cool?? This is a great template if you are looking for fun boxes but you also get a beautiful way to wrap them all up. My daughter has claimed this project for herself already. She plans to give it to her teacher during teacher appreciation week. We are going to fill each box with something different, candies, school supplies, gift card. I also made a matching thank you card that will go to her teacher. I used the Fine Finish stamp set and matching cut files to create the sentiment. I hope I've convinced you what a versatile template set this is. There are so many fun possibilities!! Please check out the other DT members blogs today, as they have even more inspiration to share with you. Thanks again for stopping by today to see my MTME April projects! !